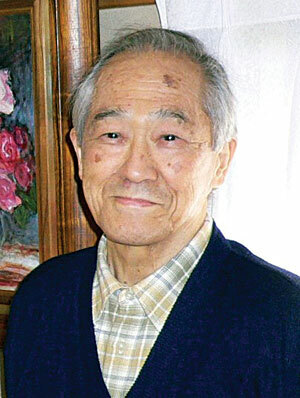 It is with great regret that we announce the sudden death of Emeritus Professor Yoshifumi Amemiya of Nagoya University, who taught more than 130 students including Professor Osamu Fujiwara, an Associate Editor of the EMC Newsletter. He passed away on March 3, 2010 at the age of 88. His notable contribution to the broad field of radio-noise, communication, electromagnetic wave, cycloconverter, EMC, hyperthermia, bioelectromagnetics, epidemiology and engineering education, as well as to different kinds of unique textbooks on electrical circuit, electronic circuit, electromagnetic wave and electrical engineering, won him great respect and high honors. We shall always remember him, not only as an eminent scientist but also as one of the great fathers who built the foundation of EMC research, both in the IEICE and IEEJ in 1977, together with Emeritus Professor Risaburo Sato of Tohoku University and the late Emeritus Professor Yasuo Akao of Nagoya University. *The author bears no relation to Professor Amemiya.